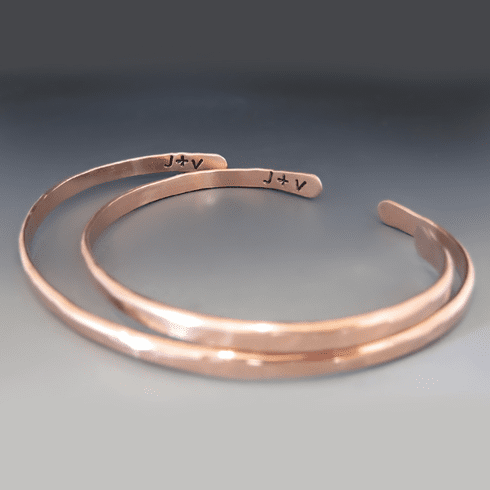 These thin stacking cuffs are perfect for those who have more active lifestyles. The minimalist style goes great with your fitbit, watch or other gear. Did you know that copper is the 7th year anniversary gift? These bracelets are custom size for your wrist and has a 1-1.5 inch opening for sliding off and on. It is slightly adjustable. I do not coat my jewelry with any lacquer or other chemicals. As these bracelets are worn they may patina over time. They can be polished to a high shine with a silver polishing cloth.